This entry was posted in Uncategorized on January 31, 2018 by Andrea. So I put off until the last day to get all my employer’s federal tax return stuff in AND to compile the quarterly docs for my tax chick. And I wake up with a giant head cold. No matter, it needs to be done or I’ll pay the penalty. Early on, I used to decide what to pay late according to how much the late charge was. Sometimes it’d be worth it to float a week. Sometimes I had no choice, like if a bill was due on the 6th and I didn’t get paid until the 15th. Even now I don’t always make good decisions, but I ALWAYS consider my consequences ahead of time. Not in money matters, I grew up and straightened that out, but in life. Whatever it is I am considering doing, am I willing to pay the price for doing it? This entry was posted in Uncategorized on January 30, 2018 by Andrea. 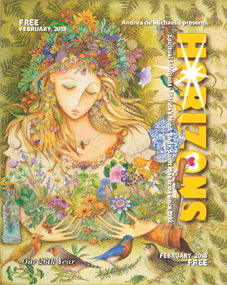 The February 2018 Horizons is now online at http://horizonsmagazine.com/mags_online/2-18-Issue.pdf . The flipbook version is at http://horizonsmagazine.com/fb/2-18/index.html. 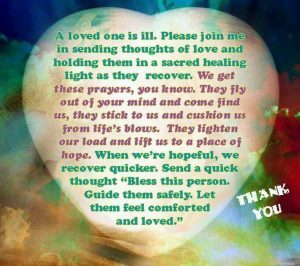 We are honored to have nationally known Maya White doing the monthly horoscopes. Maya White is a Master Destination Astrologer and one of only 90 people in the world certified in Astro*Carto*Graphy, a specialized branch of astrology which helps people find their perfect place on earth for love, prosperity, and personal growth. Visit Maya’s website and for an introduction to Maya White, read here http://horizonsmagazine.com/blog/introducing-horizons-new-astrologer-maya-white/ Contact her and ask what she might do for you. Here are this month’s horoscopes: Cusp dates are accurate for 2018. Sometimes the actual date the sun enters the sign varies by a day or so because of a leap year, or, even the time of day. I assure you these cusp dates are correct for 2018. This entry was posted in Uncategorized on January 28, 2018 by Andrea. Yesterday we signed the rental lease and what ensued the rest of the day reflected Pluto conjunct Mercury and Mercury squaring my natal moon. Translation: potential hassles, obstacles, grumpiness, miscommunication. Unlike a lot of stories I hear, I love my HOA. Maybe because it’s so easy to stay in compliance and I don’t try to buck the system. I’m all for what’s easy. But being an Aries x5 and a landlord in an HOA (homeowners’ association) community, I’ve learned the value of patience and grace under pressure. It was like being at the stove waiting for the kettle to boil. I wanted tea but didn’t want to hear the kettle whistle so I stayed quiet and listened carefully for when to open the spout. And I was a good girl at the HOA ofc, I kept my own spout closed and listened attentively. It paid off each time. —AND IF YOU CAN’T BE QUIET AND PATIENT AND ATTENTIVE AND HOPEFUL, YOU CAN PRETEND TO BE. Pretend long enough and you’ll grow into being quiet and patient and attentive and hopeful in those types of situations. And it will always pay off. Then you’ll be patient and hopeful for real and everyone wins. Especially you. Know when to open the spout to let off steam and when to keep it closed for the best brew. I’m hopeful you can do it. This entry was posted in Uncategorized on January 27, 2018 by Andrea. This entry was posted in Uncategorized on January 26, 2018 by Andrea. Earlier this week a friend agreed to a lowball price to do a job for me. She went above and beyond so I paid her 50% more because that was the more fair price. My experience is it always comes back around — everything. This entry was posted in Uncategorized on January 24, 2018 by Andrea. A busy day of tying up loose ends. I went to Home Depot, made keys, bought paint to do the cabinets and doors at the rental. Cleaning got finished and the shed straightened up, which was a major job. I went to the office and did all the paperwork for new parking decals etc. I went to City Hall to get the water transferred into my name for 2 weeks so my tenant does not get it shut off before she gets moved in on the weekend. I remember how hard it is to get everything done when you work Monday thru Friday 8am-5pm. Plus she’s at the end of a cold so I want to help relieve the stress. It takes a village! Plus if we are really all One it doesn’t matter who runs out and gets something done, right, as long as it gets done? When will I learn? I take 3 weeks off between the week before Christmas until just after the new year. Then it takes me another week to get back into the swing of working. Which means all the magazine work is crammed into the last two weeks in January. Aaauuugghh! So this year I ALSO AT THE SAME TIME get to do all the arranging for work for making the rental home available for the new resident by end of day Friday. — ANYWAY I just realized today I have to get my tax-something signed and sent in with dollars so, to make sure I get it done on time since my desk is filled with subscription lists, magazine labels and rental lease agreements, I set a small tray table in front of the door to the bathroom with the papers, a pen, a highstool and the checkbook so there is no way I will miss getting that done by end of day. — I know me, I can only pass something 2-3 times without wanting to get it done and out of the way. It helps to know myself so I can trick myself into getting done everything that needs to be done. — LOL as if any of this busy work I’m doing in this physical body in this physical incarnation/ lifetime really “has to be done” anyway. The wheel will continue to turn whether I’m doing something or doing nothing. So I may as well enjoy it all, everything I’m doing whether it’s a breeze or a pain. This entry was posted in Uncategorized on January 23, 2018 by Andrea. I love that, my soul is watching all this from fruit and flower mountain. Yes, someday my body will crumble yet I know my soul watches on with peace. This entry was posted in Uncategorized on January 19, 2018 by Andrea. This entry was posted in Uncategorized on January 17, 2018 by Andrea.